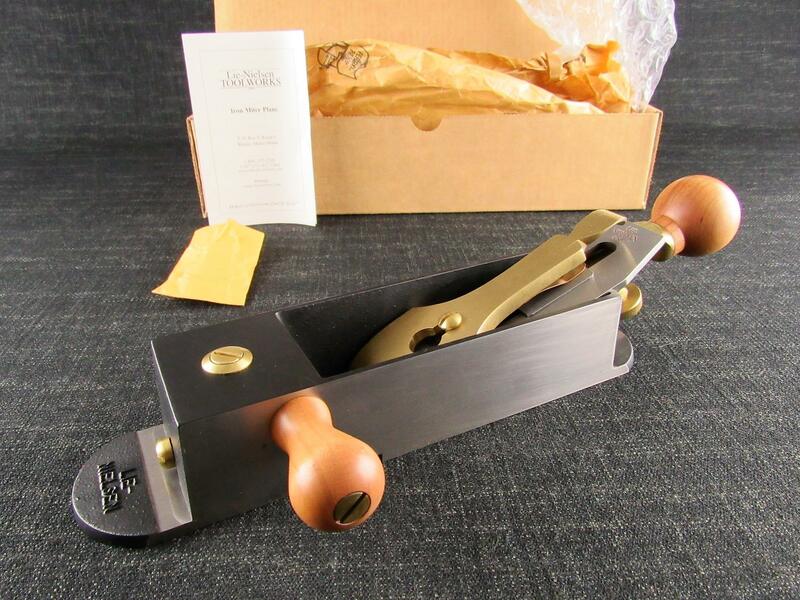 A very tidy cast brass smoothing plane by GTL - Guaranteed Tools Limited of London. 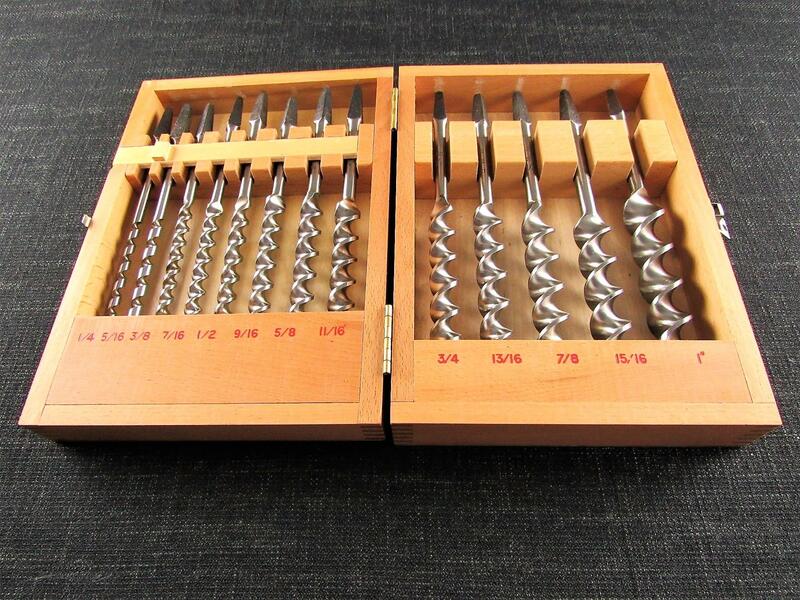 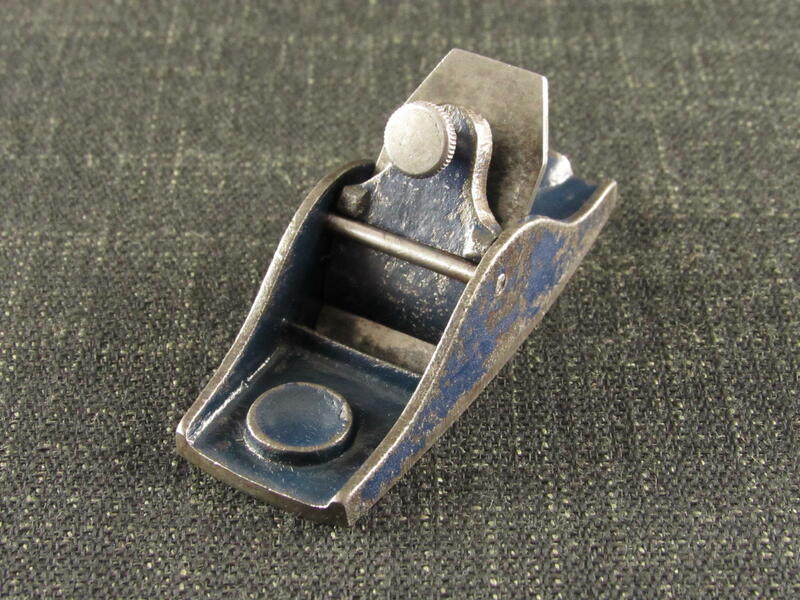 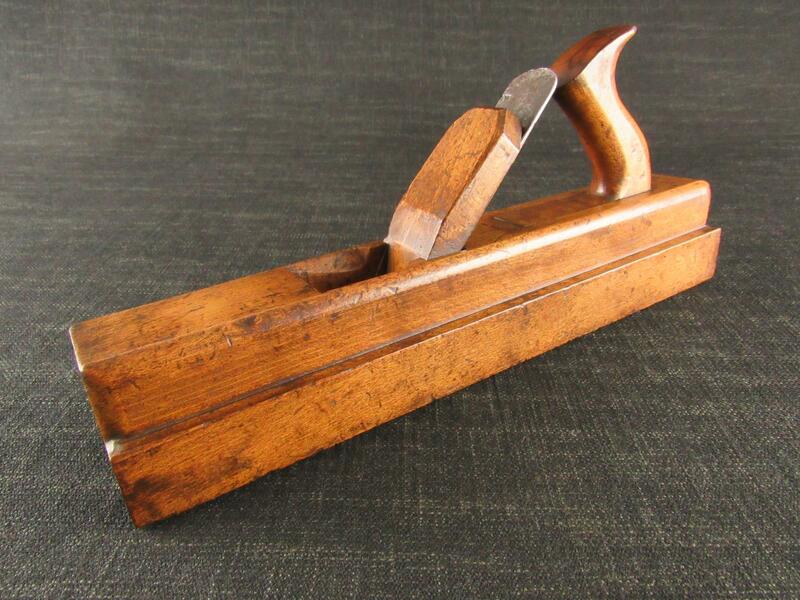 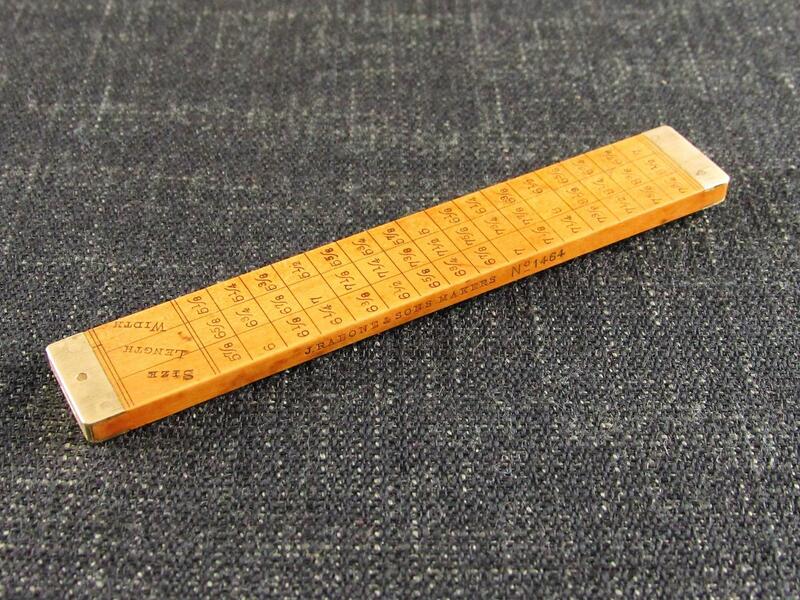 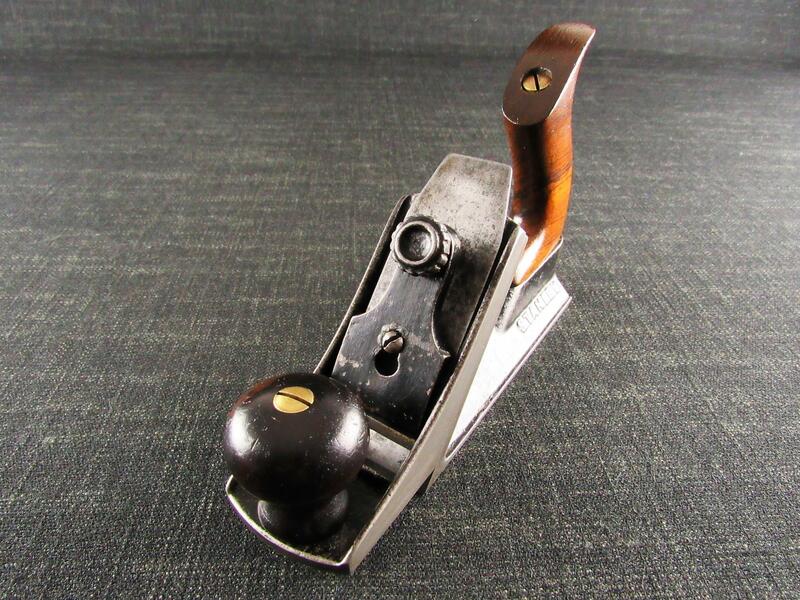 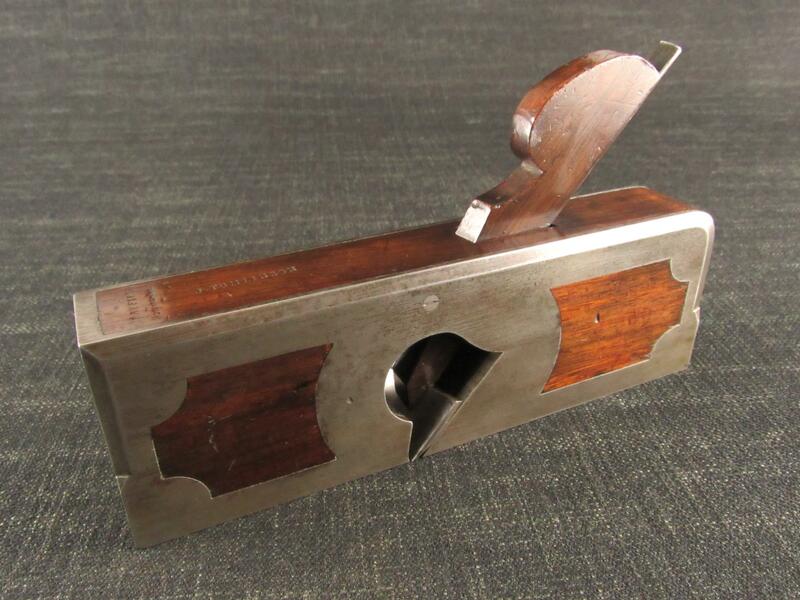 These planes have a blade iron depth of cut adjuster, similar to the famous one by Norris, in that the depth is altered by turning the adjuster knob either clockwise or anti-clockwise. 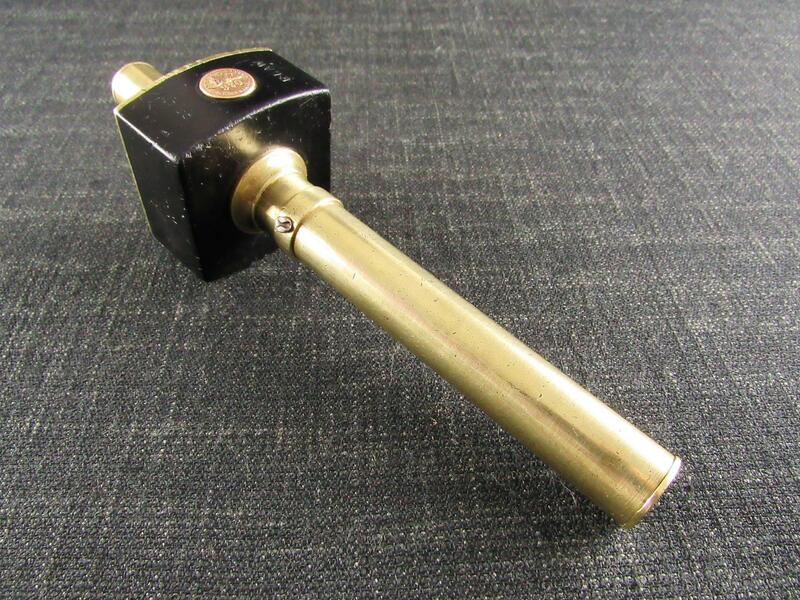 The main body, frog and lever cap are all solid cast brass. 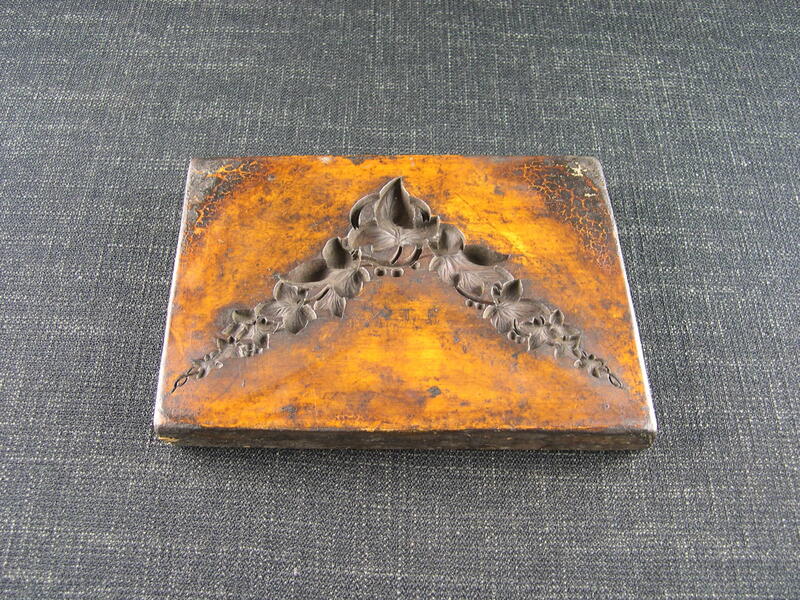 Retains much of its original black finish to the inside of the main casting. 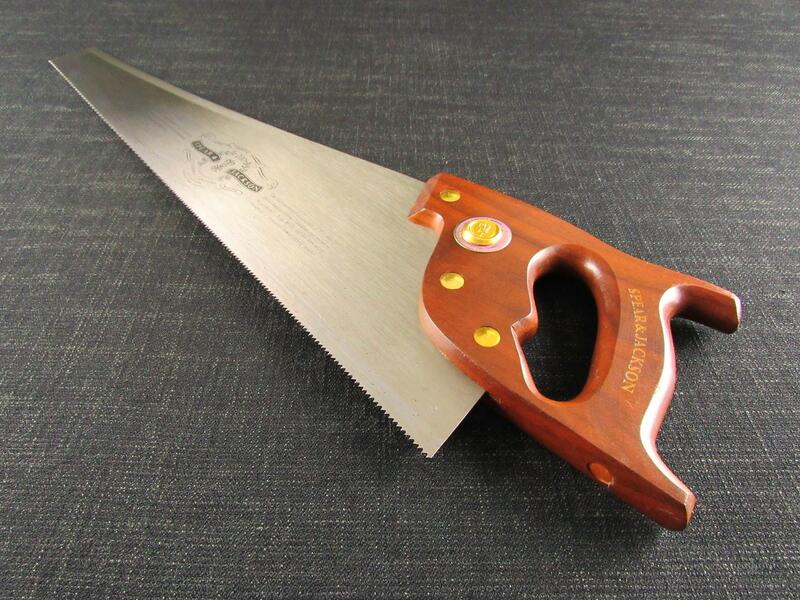 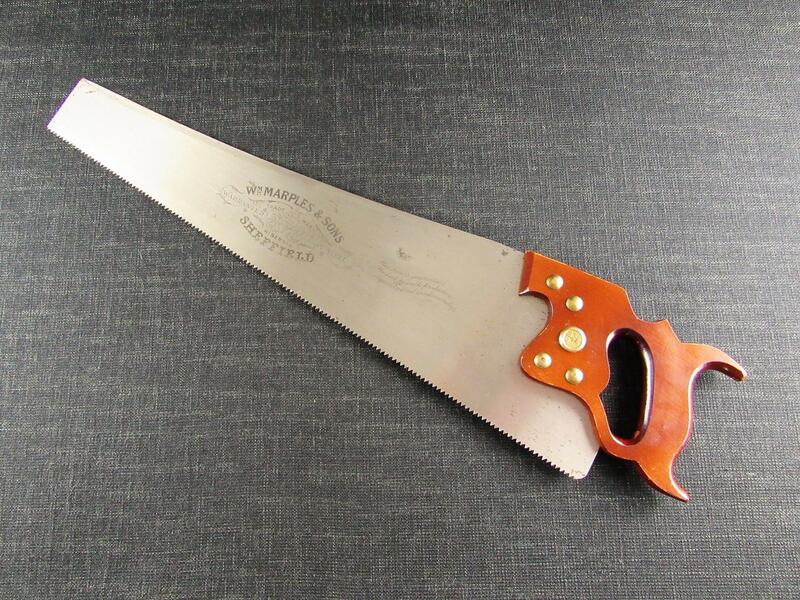 Fitted with a 17/8 inch blade and matching cap iron, some surface pitting and staining spots. 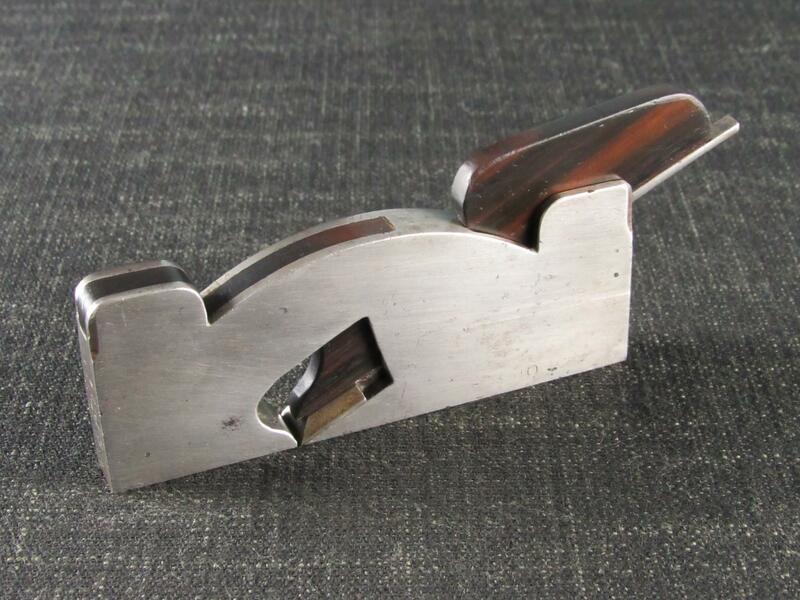 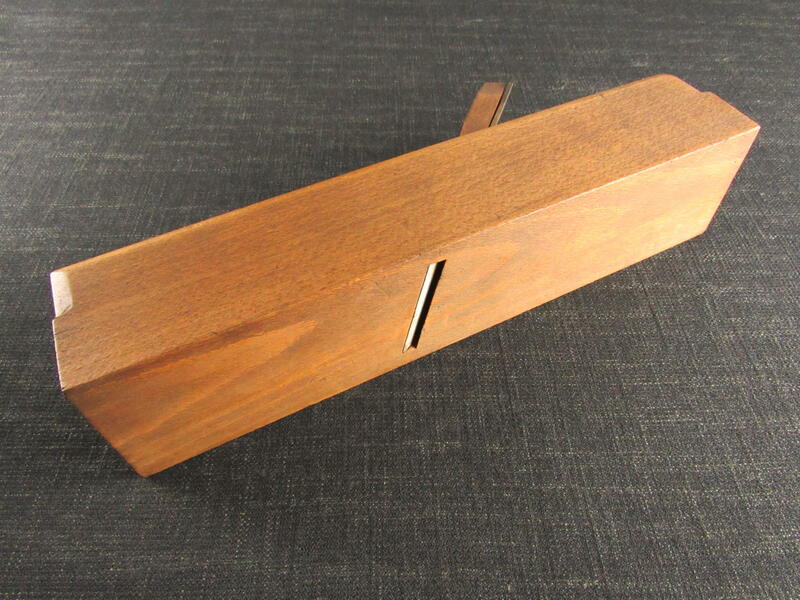 Good hardwood handles retain most of their original finish.